Float level regulators are used in the automation of electrical equipment, such as: pumps, solenoid valves, alarms, motorised sluice gates, etc. All versions feature an internal changeover contact operated in accordance with the level of liquid where the float is located. The cables used are high-quality and offer excellent mechanical and chemical resistance over time. The cables are 3×1 type, that is 3 wires with a cross-section of 1mm2. This allows the user to choose the filling and draining function during regulator wiring. The Lovato LVFS Clean Water Floats Switches are typically used for the civil and industrial control of levels of white water, e.g. rainwater, groundwater or cooling water from industry. They are available with PVC and Neoprene cables of various lengths. – Activation angle: -45∘ to +45∘. – 130g external counter-weight included. – Float casing material: polypropylene. – Cable A05 VV-F3X1 (PVC) available in lengths of 3, 5, 10, and 15m; Cable H07 RN-F3X1 (Neoprene) available in lengths of 5, 10, 15 and 20m. 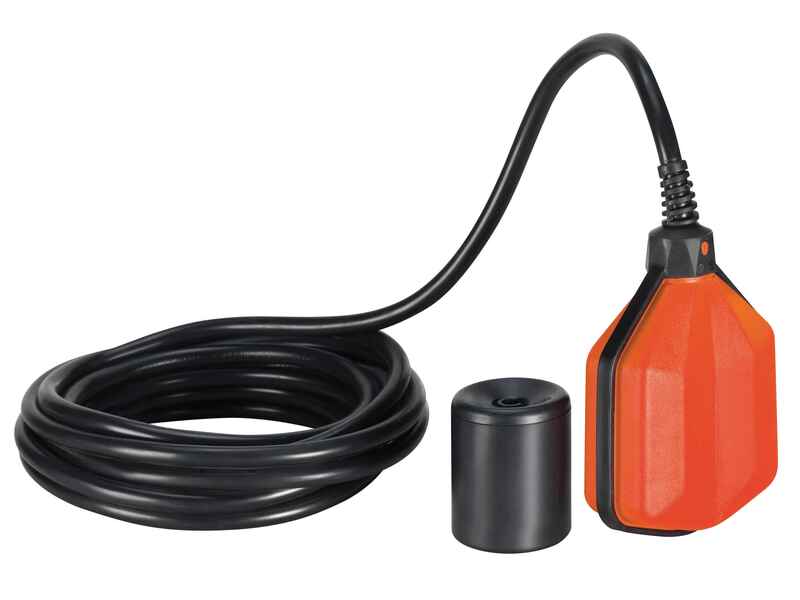 – Rated cable diameter: 9mm (PVC and Neoprene). – Relay with changeover contact 10(8)A 250VAC 50/60Hz. – Maximum installation depth: 30m. – Maximum pressure: 3 Bar. – Maximum operating temperature: +50∘C. – Maximum storage temperature: +70∘C. LVFSP1W03 PVC 3m long cable, 0.610kg. LVFSP1W05 PVC 5m long cable, 0.830kg. LVFSP1W10 PVC 10m long cable, 1.410kg. LVFSP1W15 PVC 15m long cable, 1.930kg. LVFSN1W05 Neoprene 5m long cable, 0.880kg. LVFSN1W10 Neoprene 10m long cable, 1.510kg. LVFSN1W15 Neoprene 15m long cable, 2.080kg. LVFSN1W20 Neoprene 20m long cable, 2.480kg.